Reopened - looks good, inside and out. Currently closed for refurbishment - will reopen shortly. 1st time in here for a long time,had a good pint of Guinness.10pm and there was only a handful of customers in. Limited beer - just Doombar. Standard chemical fare otherwise (lager & guiness). Late on a Saturday night is well worth a pint or two - live bands & because the area in front of the "stage" isn't very big, it creates a good atmosphere. 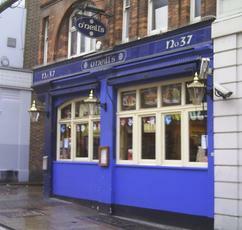 why don't O'neils serve Cafferys anymore, that was a lovely drink.